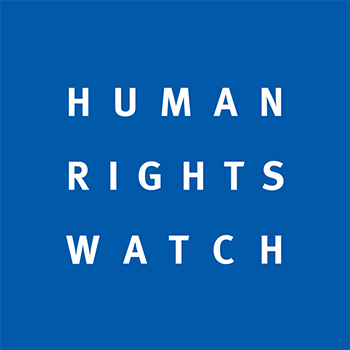 Human Rights Watch and other advocacy groups doing great journalism. The overlooked advocate writers who are making a difference in online media. Can advocacy journalism still be important journalism? Hope is the latest trend in journalism. Even hardened pessimists can’t help noticing when serious investment money and donations flows into startups and new initiatives from traditional media companies, as the Pew Research Center’s Journalism Project documented this week in its latest annual “State of the News Media” report. I admire the work of the folks at Pew. But they, and most others who observe the journalism ecosystem, are actually underestimating the amount of journalism we’re getting. For one thing, they leave out the volunteer citizen journalism that is increasingly an essential element of what we know—somewhat reasonably, given that they’re focused in this report on people who get paid for what they report. More importantly, they and most others in the field are overlooking a key category of people who do get paid and who are providing essential news and information: the advocates. Yes, BuzzFeed, Vox, and ESPN’s new FiveThirtyEight, and a host of other large and small new media operations are extending the news ecosystem. But so are Human Rights Watch, the American Civil Liberties Union, the Cato Institute, and a host of other organizations that do serious reporting about some of the key issues of our time. The latter are doing advocacy journalism—coverage with a clearly stated worldview—and often leading the way for traditional journalists. In my most recent book I called them “almost-journalists,” because I believe that advocates’ media work doesn’t always take note of opposing alternative viewpoints and facts. At this point, I’m ready to drop the “almost” part of the expression. I’m not saying they’re doing journalism of the type that rose to prominence in American newspapers in the second half of the 20th century—the by-the-numbers, “objective” coverage that still can serve a valuable purpose. Rather, they’re going deeper than anyone else on topics that they care about that are vital for the public to understand, but which traditional journalists have either ignored or treated shallowly. Then they’re telling us what they’ve learned, using the tools and techniques of 21st-century media. Consider Human Rights Watch, which does the best reporting, period, in its field. Pew doesn’t include it in the ecosystem, but Upworthy, the popular news aggregation site, rightly does. In a new initiative, Upworthy is partnering with Human Rights Watch, Climate Nexus, and ProPublica for coverage of human rights, climate change, and economic policy. “We don’t think it’s quite enough to promise to bring more attention to these topics: We’re also proud to announce we’re teaming up with some experts in these fields to get the coverage just right,” Upworthy said on its blog. The key word in Upworthy’s post is “experts”—because that’s the essential quality Human Rights Watch and others bring to the ecosystem. Consider civil liberties, one of the most important arenas for the advocates. We’ve needed their work in part because traditional journalists have tended toward shallowness on these matters and are often too timid to challenge the sacred policy cows, such as the Wars on Terror and (Some) Drugs, that have led to major abuses. Increasingly, advocacy groups are bringing in actual journalists who also have expertise. At the Cato Institute, for example, Julian Sanchez, who has written for Slate as well as the Economist, Ars Technica, and Reason, raises the flag for restoring the liberties we’ve lost in recent years. On the institute’s website, on Twitter, and elsewhere, Sanchez is amplifying his own considerable knowledge and research. The trajectory of this kind of work, before the Internet, was roughly as follows: The advocates did research, digging out documents and interviewing people. They’d assemble what they collected into highly detailed reports, which they’d take to the major media that served as gatekeepers, and hope that a New York Times or 60 Minutes or other such organization would publish or broadcast a story that, they hoped even more, would bring the public’s attention to the topic. Or they’d hope to get an op-ed in the Times or the Washington Post, among other big outlets. The advocacy groups—NGOs, think tanks, et al.—still want their work to be picked up by what’s left of Big Media, which can still amplify it in vital ways. But in the age of the Internet, they can make their own media directly available to the public. (For example, the New America Foundation, which is a partner with Slate and Arizona State University in Future Tense, publishes its own Weekly Wonk. I’m a part-time professor at ASU.) Everyone with a website is a publisher; we are all media organizations today. Stating a bias or world view doesn’t automatically make one’s work journalistic. Otherwise, press releases would be journalism. But journalism with a worldview has been common in most countries, and news “consumers” have been well served. When I’m in London I buy the liberal Guardian (for which I write a weekly online piece) and conservative Telegraph, and figure I’m triangulating on the British establishment’s view of reality. A world view can enhance the quality, because it can provide a frame of reference for the audience. And if anyone wants to exclude the solidly reported advocacy journalism, which has a long and honorable history (see Ida Tarbell) even in America, from the firmament, what should we do with what’s being broadcast right now at places like CNN, where people speculate endlessly about a missing airplane and promote the “breaking news” of the latest anonymous-sourced semi-factoids? Journalism? Sure. But bad, shallow, resource-wasting journalism, too. I’ve been an optimist about the future of journalism for a long time. Pew’s reporting helps explain why. I hope, next year, they broaden their vision—because the news may be even better.